Steven (Chicagoland, United States) on 17 January 2013 in Landscape & Rural and Portfolio. Nice bright image with amazing detail in the shadow areas. Bonjour Steven. Superb photo with excellent framing. I like it. Have a lovely day Steven. Amicalement Antoine. Gorgeous colors - the trees are magnificennt! 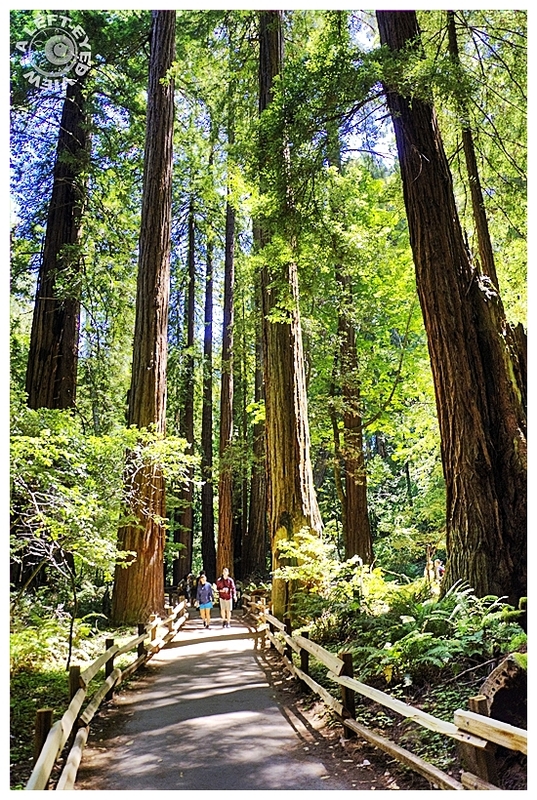 A great shot of these mammoth redwoods ... you had a gorgeous day and lots of light in this area for your photo! Fine shooting to give a sense of the mighty scale. Magnificent image, Steven....A rare sunny day ...I actually like how the Redwood forests take on two distinctly different personalities on cloudy vs sunny days...amazing..This is a GREAT shot man! very bright and shiny, and the few people provide us with a clear sense of proportion. these trees are huge!!! Les hommes sont comme des nains à côté de ces arbres gigantesques ! Magnifique ! Absolutely beautiful! Gorgeous light and color! Those redwoods are so amazing! Beautiful towering trees; and fantastic scene! Splendid compo with the inclusion of the people to bring an impacting sense of scale. Excellent work.